Who doesn’t love MIUI? A complete different and clean UI on Xiaomi phones which can not be compared with others, as it is quite different from other UIs what we see on most of the smartphones, but at the same time there are many Mi fans who over stock Android and some love modding everything. Now, there is a good news, you can install CyanogenMod 12 on Xiaomi Mi3 and Mi4 right away. Just a few days ago, MIUI 7 was announced and with MIUI 7, Mi users will also get the latest Android Lollipop on their devices. However, some of the devices won’t get the Lollipop upgrade, but will get MIUI 7 on top of KitKat only. Mi3 has been an iconic phone from Xiaomi in India, which managed to get sold within 4.2 seconds (15000 units) in the first flash sale, later Mi4 was introduced with a little bumped up specs and greater clock speed. 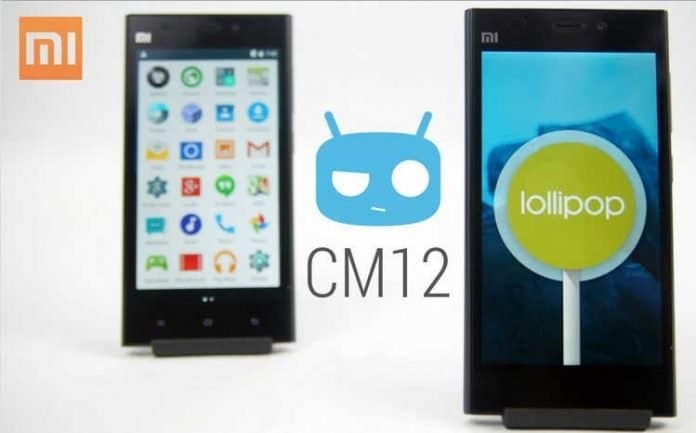 Now, if you own one of them and you’re not getting Lollipop with MIUI 7 on top of it, you can install CyanogenMod 12 on Mi3 and Mi4, and you get Android Lollipop 5.1.1 with it which is like the toppings on a Pizza when Mi seems to be in trouble with delivering Lollipop to every device. So, here’s the guide on how to install CyanogenMod 12 on Mi3 and Mi4. We are not responsible if anything happens to your device; if it blows your house, flies across the Empire State Building, starts World War 3 or attracts aliens to our planet earth. However, we can assure that if you follow the steps carefully, nothing can go wrong, however if you get into trouble while installing the CyanogenMod 12 on Mi3 and Mi4, you can comment down your issue below. We will try to help you as soon as possible. And once you are done, you’re ready to rock with CyanogenMod 12 on Mi3 and Mi4. Enjoy the cool CyanogenMod 12 and in case if you have any problems with it, be sure to leave a comment in the comments section below. We will try our best to help you out as soon as possible. Also, you can check our other guides on installing custom ROMs on different devices here.